In Part One of the Kaiju Kickstarters interview I asked Kevin Brusky some questions about RARRR! !, his monster-building, city-crushing card game. It proved to be quite the fun discussion and I’m looking forward to playing RARRR!! once it meets the funding goal. If you haven’t read the interview you can check it out here, and if you haven’t yet visited the RARRR!! Kickstarter page to contribute some money you can do so here. “KAIJU RISING: Age of Monsters is a collection of 19 stories focused around the theme of strange creatures in the vein of Pacific Rim, Godzilla, Cloverfield, and more. 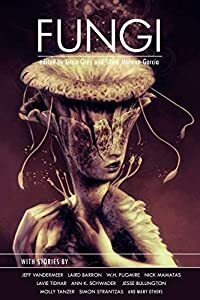 The anthology will open with a foreword by New York Times bestselling author JONATHAN MABERRY, and close with an afterword by JEREMY ROBINSON, author of Project Nemesis, the highest selling Kaiju novel in the United States since the old Godzilla books—and perhaps even more than those. From New York Times bestsellers to indie darlings we found authors that are perfectly suited for writing such larger than life stories. KAIJU RISING: Age of Monsters will honor that proud tradition, while exploring new and exciting ways to experience Kaiju. Kevin Brusky: You mention on your KS page that art sells, especially on Kickstarter projects. I couldn’t agree more! Dan Howard‘s art is spectacular, and he did a great job on your covers. How did you manage to hook up with him? Nick Sharps: Joe, Tim, and I spent a fair amount of time scouting out an artist for the cover. Dan was someone Joe, Ragnarok’s Creative Director, had connected with once or twice through deviantART. Joe knows a ton of artists, and he just felt Dan had the right style for the project. As luck would have it, Dan was not only available but was between projects and had some immediate openings in his schedule. So everything just kind of fell into place. He needed very little direction, according to Joe, and I couldn’t be happier with how the covers have turned out. This is a crack commando unit (veiled A-Team reference) from top to bottom. KB: You’ve got great authors lined up – and a lot of them! Do you know all these folks? NS: I was familiar with a lot of these folks before the project, as were Joe and Tim. We’re part of a pretty close-knit community and that really came into play during the recruiting phase. Those authors I didn’t know prior to the creation of the project were friends and acquaintances of the authors I did know. The whole project has been a really neat exercise in networking. Before Facebook and Kickstarter it’s unlikely I could have ever been involved in such a project – at least at my current age and level of schooling. I’d like to think that I’ve formed some strong, lasting relations over the past couple months of organizing this project. All of our authors are super cool and the community as a whole has been extremely supportive. KB: Do you think that del Toro’s Pacific Rim is going to help usher in a new era of love for giant monsters in pop culture? I think Abrams says a lot of disagreeable things (don’t get me started on how awful Star Trek Into Darkness is) but I see the merit of this statement. I realize a lot of people don’t like Cloverfield but I’m a big fan of the film and the monster. Still, I don’t think it quite achieved what Abrams hoped for. Pacific Rim, on the other hand, came closer yet. With the upcoming Godzilla film set to be released in 2014 (directed by Gareth Edwards, eeek!) and a hopeful sequel to Pacific Rim, I’d like to think that this could be a new Age of Monsters! KB: Not a question, but: I like the Redshirt pledge levels, where the authors will write you into their stories. I look forward to seeing how backers will meet their ends! All that, plus a limited edition copy of the book and a bunch of other goodies! KB: What direction did you give to the authors? How much freedom do they have to write whatever kind of kaiju story that they want? NS: We’ve tried to give the authors a lot of artistic freedom with the stories they’re writing. Fortunately for us, we’re dealing with true professionals – masters of the craft. This approach has allowed for tons of diversity in the submissions we have received so far. Because of this freedom the anthology explores kaiju in a variety of subgenres, from Weird West to Lovecraftian – and everything in between. Every submission comes with a unique thrill – I never know what I’m going to be reading but I know it’s going to be damn good!